Maxi`s is a trendy, quick-service sit-down family restaurant. Maxi`s offers an extended menu of great tasting food that is great value for money. 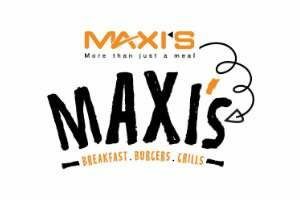 Maxi`s focuses on breakfast, lunch and early dinner trading, with the menu including breakfast, light meals, burgers, grills, desserts and funky kids menu. Maxi`s was founded in Pretoria in 1993, by an entrepreneur who saw an opportunity in the market for a family restaurant franchise, offering a wide range of food, focusing on a quality offering. New site growth is targeted in all major metropolitan areas nationally. A successful business is driven by a hands-on individual who understands the importance of superior service delivery, is passionate about people and who is willing to commit to a long-term plan that will yield results. Maxi`s offers a turn-key business solution from training to office support.